The 1955 Buick Super Riviera (Model 56R) is your stand-out value in the medium-price field. This roomy and rakishly styled Riviera - and every Super - brings brand-new performance-236 V8 horsepower with the smooth, surging acceleration of Variable Pitch Dynaflow, Safety Power Steering and the world's most buoyantly level ride. If you wanted a big heavy car and lots of luxury features, you would have bought a 1955 Buick Super Riviera. Many features were power operated (some optional) – like windows, seat, steering and even brakes. 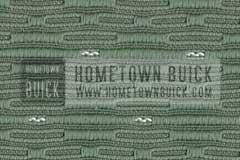 See 1955 Buick Options & Accessories for a full list with original prices. The 1955 Buick Air Conditioner caters to your comfort in many ways: It cools down a your hot 55 Buick quickly. Read more about the original system/unit! Buick offered 20 base colors for 1955. They could be used as solid colors, two-tone paint or even three-tone color combinations. Two-tone paint meant the roof to be painted differently; three-tone paint was only available in certain colors. Note: Color accuracy varies by computer/device settings and depends on the actual light. See complete 1955 Buick color chart for Duco Paint numbers and three-tone color combinations. Buyers of the 1955 Buick Super Riviera had the choice between five different interior trim combinations – all of them were included in the car price. The Buick Berle helped Buick to increase their sales position to #3 in the United States. That made 1955 one of the most popular year in its history. To train Buick dealers and salesmen, the Dealer Training Organisation (DOT) released 16 issues – most of them about mechanical or sales procedures. Only the first video was created for playing in the showroom. It introduced the new model line and new features in full color – lots of beautiful images and what a great story – the “Thrill of the Year”! Do you do all the work on your 1955 Buick Super Riviera by your own? We’d like to support you with original mechanical manuals. 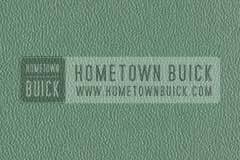 Read the 1955 Buick Shop Manual and other repair manuals online! 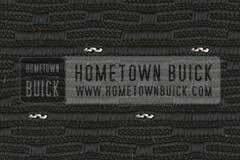 Hometown Buick is based on a private collection with many rare Buick items of the 50s – including some of the rarest 1955 Buick memorabilia like the original 1955 Buick Colors and Fabrics Book / Dealer Album, Press Release or Dealer Slidefilms (DOT). Explore our collection and have fun! You’d like to have a printed copy of 1955 Buick memorabilia? We offer spare items and high quality reproductions in our shop – we ship worldwide. Check them out now! There is a brilliant source about your personal Buick – the Body Tag. It shows how your car was originally built by Buick. Interior, paint combinations and options – decode it now and get historical information about your 1955 Buick! 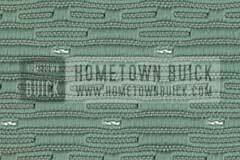 Hometown Buick is maintaining a 1955 Buick registry. Its aim is to provide you information about how often certain engineering features were ordered or which color combination was most popular in 1955. Make your contribution today and help the community by submitting your car data! Today, a car configurator on manufacturers websites is a standard feature. But of course not in 1955. 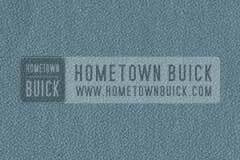 Hometown Buick brings both together: With the 1955 Buick Configurator you can build your individual 1955 Buick as it could have been produced. It is based on factory information to make sure everything is factory correct. 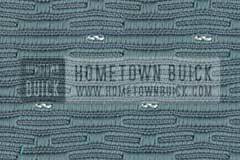 Build your 1955 Buick your way! Worth and price always differ. But what is the right price? Hard to say. That always depends on many variables. The only thing you can – and should – do is make an online research. Start your 1955 Buick Super Riviera price here.